That’s true as far as it goes, but I’ve now learned that those bacteria, which many people call “gut flora” and scientists call “gut microbiata,” do so much more than prevent diarrhea. Although the study of gut flora is still in its infancy, many scientists now refer to it as a separate “organ” of the body, one that plays key roles in everything from digestion to immunity to mental health. So if you’re looking for a way to improve your health – both physical and emotional – or just to keep it strong, working to build up and improve the bacteria in your digestive system may be one of the best things you can do. • Bacteria in our intestinal tracts produce B vitamins and vitamin K. These vitamins play important roles in energy metabolism (producing energy from food), maintaining the health of the nervous system, and clotting blood. • Bacteria in the large intestine digest fiber and use it to produce chemicals that feed and protect the intestinal lining. This lining plays key roles in preventing infection, boosting immunity, and reducing inflammation. If the lining breaks down, chemicals that should never leave the intestines end up in the bloodstream, which can lead to inflammation or an overactive immune response. • Gut floral produce most of the body’s serotonin, a key neurotransmitter. Scientists are beginning to see connections between the health of the gut and the health and functioning of the brain. • Intestinal bacteria produce enzymes that metabolize drugs, hormones and toxins. In addition, they produce chemicals that “communicate” with the liver regarding production of enzymes used in detoxification. • Gut bacteria may play a role in obesity. Some animal studies, and now a few human studies, have shown that animals or humans deficient in certain bacteria may be more prone to gain weight. • Eat probiotic foods regularly. These include yogurt and fermented foods, such as kefir and sauerkraut. You can buy high-quality yogurt and kefir at the grocery store, but you can make them too. I’ve started making both recently, and it’s fun, cheaper, and not too difficult (making kefir is very easy). • Take antibiotics only when necessary. If your doctor says, “Let’s wait a day or two to see if you need antibiotics,” don’t insist on getting some right away! Antibiotics can significantly alter the gut flora, killing off beneficial bacteria and providing an “opening” for harmful bacteria to move in and “set up shop.” When you do take antibiotics, eat probiotic foods (take steps during and after treatment to re-establish a healthy gut microbiata. I’ve done some research on probiotics, and my husband and I take a supplement fairly regularly. We buy several different brands that contain different bacteria, and we alternate them (because it’s hard to figure out which bacteria are the best ones to take!). Our younger son takes a probiotic supplement every day – he had some digestive problems when he was younger and believes that probiotics were a key to overcoming them. Have you investigated the relationship between gut flora and probiotics? Do you take any steps to boost your gut flora? Is it something you’ve even considered? Please share your thoughts in the Comments – I would love to hear from you. You may also like Intro to Gut Health from Juggling Real Food and Real Life. This is a great blog post! Thank you for sharing! Probiotics changed my life around! I was having a problem with a yeast build up and I was told to take probiotics. The problem was that Culturelle was what was promoted to me, and I didn’t make much of a change. Once I got onto ProBio5 though, everything was better! My entire system was uplifted and changed. I now don’t go a day without taking it. They are around the same price as Culturelle but you do have to buy them online. So glad that you found a probiotic solution to your problem! Thanks KC! I do know that about you – lol! Great information. I’ve been taking probiotics for about 3 months now but you got my attention when you said that different brands have different types of probiotics which is why you alternate them. Great idea that I’d like to try. I know you cannot (or should not) recommend brands, but can you please list the probiotics that you take by name? I’d like to do some research to see which are available to me, and try something similar to what you’re doing. Thank you! Hi Tammy – I am not very loyal to a specific brand. We have used Culturelle quite often, and one of my friends swears by Align, but we’ve also used a number of drugstore brands. I look at which bacteria strains are included, and try to mix up the strains we get. I didn’t realize how important probiotics were for your health until a few months ago. I started taking a multi probiotic with 5 stains of good gut flora plus enzymes and anti fungal all in one that plexus has. You should try it! I have had amazing results and so has my daughter who is almost 3 and has suffered from constipation since she was an infant and we tried culturelle and another probiotic but didn’t do a lot for her. My brother just tried it the other day and he said it helped his stomach bloating that he has been suffering from lately. If it weren’t for my friend raving about it on Facebook,I wouldn’t have ever known about it. You outta check them out. They have several other natural health supplements too I use. I never heard of Probio5 until my friend shared about it. Hi Jasmine – Thanks so much for the information. I have heard some about digestive enzymes and really need to look into them as an addition to probiotics. 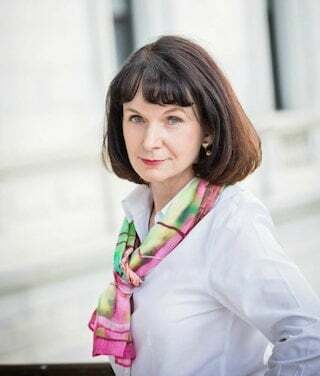 Thanks Ann – I will! Thanks Nicky. I have only realized recently how important it is. I am still fighting a stomach virus and have lost 10 lbs since last week, but am glad it is finally out of my system – no more processed foods for me! Thank you for linking up again with us at the #WWDParty and sharing this. Have a wonderful weekend! Many autistic kids suffer with gut issues and they are still studying the connections between the brain and the gut. It will be interesting to see what they learn in the next several years. 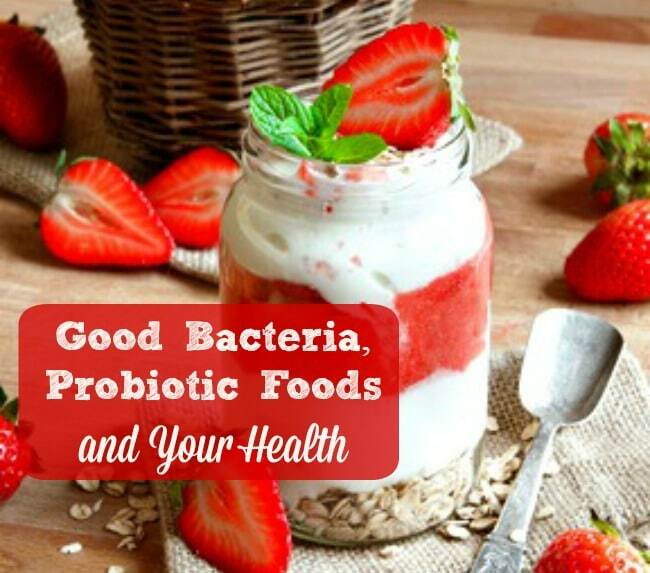 A good probiotic is necessary for everyone. Such an important topic Gaye! I was really in the dark about this subject until I had my gal bladder surgery and it threw my digestive system off so severely. I was sick with flu symptoms for an entire year. Some days were better than others and some days I was sick in bed. It wasn’t until I switched to real food that I was able to heal my body. I didn’t know all the details of how to do it, but I ate more whole grains, fruits and vegetables, fermented foods, real cheese and slowly I started to feel better. It didn’t happen overnight, but I now know I will never go back to feeling that horrible. Fast food was killing me and real food saved me. Nobody will be able to convince me otherwise. I had gallbladder surgery just less then 2 years ago after a major gallbladder attack and two stone moved to my liver. Had gallbladder attackes for the last 10 weeks of my pregnancy thinking it was preterm labour then 7 weeks after I had my son and continued having attacks when I realized what was happening. I too had horrible food/stomach issues after surgery! I was a healthy eater before but became Even healthier by force due to my gut problems from the surgery. I also have began taking probiotic supplements (1 – 30 billion per meal time) and have notice major improvements. I also have digestive enzymes to take if I happen to eat something and it doesn’t sit well. If I’m going through a rough patch I also take water with Metamucil or phylum fiber in it and it helps with the bathroom trips sometimes related to this issue. Hope this helps you some more as well! Hi Jennalee – Wow, you have gone through a lot! I’m glad to hear that you have found a regimen that works for you. I don’t know much about digestive enzymes. Thanks for the tip on that – I need to look into how they work. Such an important topic! Pinned!